Disneyland is supposed to be every child’s dream, the magical place where all our childhood stories come to life, in the form of a village and two parks filled with adventures based on Disney characters. The amusement park is at station Marne-la-Vallée, just 40 minutes away on the RER A from metro station Châtelet. So, at the age of 21, I decided it was about time to see where the magic happens. As I was made aware that it’s more Hell land than Disneyland in the summer, I thought I would go in January, after all, it is winter, it should be pretty empty, right? Wrong. I was truly surprised by the number of people present, especially that it was 9 degrees that day and raining. I was armed with 2 pairs of socks, 3 sweaters, and a jacket, and still, I did not feel warm. Some parents got creative; they dressed themselves and their kids in ski suits. Half of the people were walking around like they were in the Alps, rather than in Paris. Even though it was cold and raining, the lines to get on roller coasters were enormous, ranging from 20 minutes waiting time up to 65 minutes. This is definitely a downside that has to be taken into consideration if you are planning a trip there. I don’t know how most people feel, but it’s definitely not worth it standing in line for one hour to have 2 minutes of fun. So, what to do in this situation? The answer is simpler than you would think. Get the Fast Pass tickets (60 € low seasons and 90 € high seasons), in addition to the basic entry ticket ( which is around 70 to 99 € for both parks, depending on the month). With the Fast Pass, you basically get to skip the line for 9 of Disney’s biggest attractions. I’ve only waited a few minutes to get on most roller coasters, and the longest I’ve waited (where the actual line was 65 minutes) was around 15 minutes. It is an absolute necessity if you want to make the most of your day there. My favorite thing to do in amusements parks is getting on roller-coasters. If you are an adrenaline fan too, I recommend the Star Wars Hyperspace Mountain. The décor is dark and starry, it is very fast and it feels like you are shot into space, trying to escape from a galactic battleship. I thought it was the scariest because I could not predict what was coming next because of the darkness. 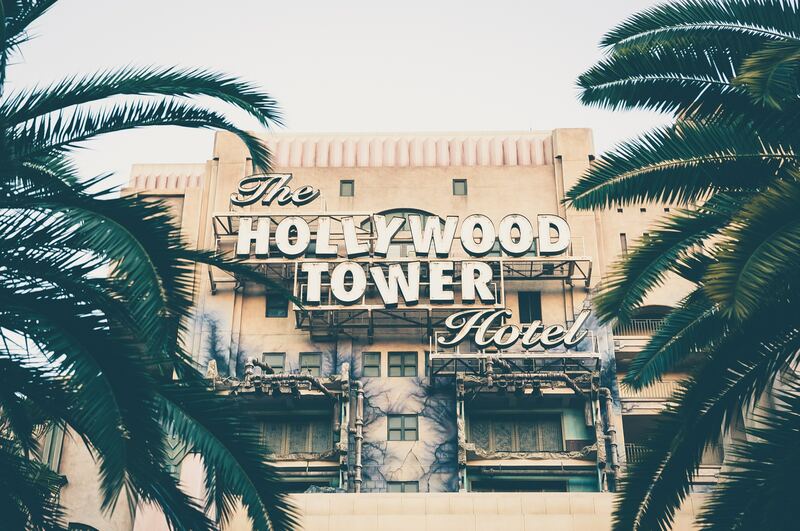 The second ride that was most enjoyable was The Tower of Terror, which is built on the concept of a haunted hotel: The Hollywood Tower Hotel. It basically simulates a falling elevator, and the sensation is very freeing and amazing. The third ride that is a must suggest is Ratatouille. It is a funny 4D experience, where you can feel like a mouse running from some very angry chefs. I must say I was not impressed by the food. I have tried the Arcade, which is a huge American fast food type of diner fused with a movie theatre ambiance: the fries and burger had sort of a carton after taste. I have also tried eating at some little food bungalows that had more international cuisine, and yet, no luck. The vegan mushroom soup was unseasoned and loveless, and the baked potatoes were not fully baked. I ended up getting a German Pretzel because I was sure there can be nothing wrong with it (I am half-German, after all). An interesting place that I wanted to try was Bistrot Chez Rémy, an actual restaurant where they try to recreate the meals featured in Ratatouille. Unfortunately, it was closed that day, but it definitely is something worth trying next time. Disneyland closes at 8 PM with a 30-minute magical spectacle of fireworks and animations projected on the legendary Disney castle, so be sure to find a good spot, grab some popcorn and enjoy the show! You can get home with the RER A train going from Disneyland Paris towards central Paris stations: Nation, Gare de Lyon, Châtelet, Auber, Charles de Gaulle-Étoile, La Défense.